Top Ten Tuesday is a meme that is hosted over at The Broke and The Bookish. I love reading their blog. Eventually I will get around to writing about all of these books in more detail because all of these books are in our all time favorites category. My husband and I have read and reread these books to our son so many times that we all have them memorized. 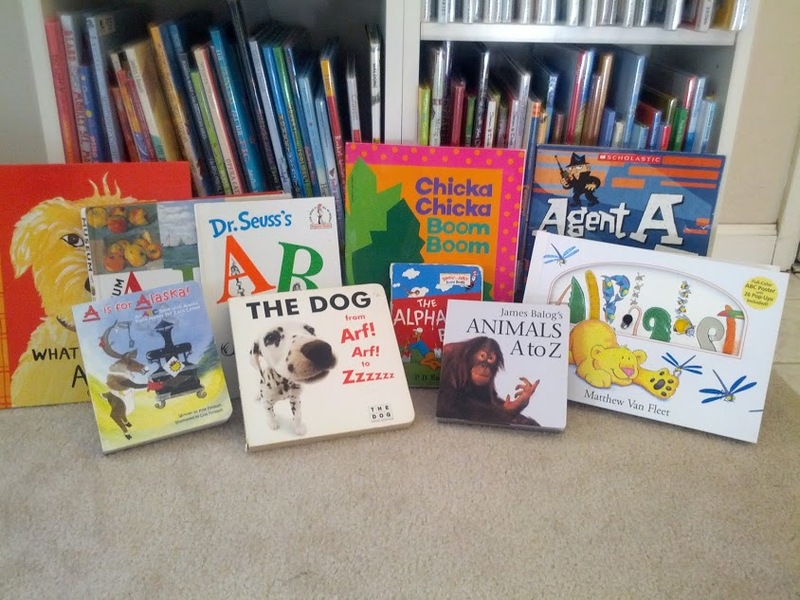 These books are fun and have been a great way to introduce my son to the alphabet. I’m not in all that much of a hurry for him to start reading on his own – I’m hoping to have a few more years of curling up on the couch — but I do get quite a sense of pride when he’s pointing out letters on an elevator, in the grocery store, and in books. All of these books are fantastic and are HIGHLY recommended. I adore ABC books. Yet some of these are unfamiliar to me. Excellent. Off to request them from my library! Some of the best books I’ve ever read are short books you can read in a night. Here’s my Top Ten Best One-Night Reads! Fun list! I loved reading picture books with my daughter, but I think the only one on your list we’ve read is Chicka Chicka Boom Boom. The Museum ABC book is one I think I would have picked up too. Thanks for sharing your recs! What an awesome idea for a top ten! These are all fantastic books! Some great books. I remember reading some of those when I was younger!